I’m not sure when she became a human being. Probably the first time I found out she was fallible. Sometime in my 20s, after I left university. Before she was a mom. 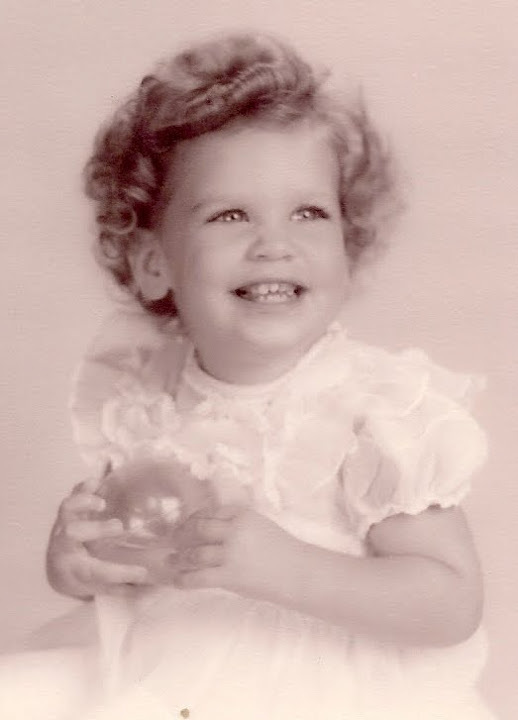 Once I began my life as a ‘grown-up’ and she and my dad moved to Oklahoma, of all places, I began to miss her. I was surprised, because we were never particularly close. I think that’s when I finally got to know her, even though we could only see each other a couple of times a year. She and my dad lived in a beautiful one-story Oklahoma house with a huge stone fireplace in the middle living room and wrap-around bedrooms – a wing on one side and a wing on the other side. They were like a man and a woman newly in love: they dropped out of their 30-year life in New Jersey and, with my brother and me off to our own pursuits, they became a fun couple: playing tennis, going to dance parties and bridge soirees, joining a country club. My mom was cute and lithe, the life of a party, and the light of my dad’s life. 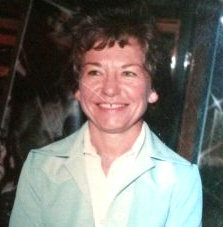 I watched her, mouth open, wondering if this was the woman, the “Mom,” I’d lived with for the first 22 years of my life. For the next 30 some years, I’ve tried to figure out who my mom is. She dated a lot in high school until she met my dad when they were both seniors. She came from a solid stable family with a sister and parents who spoiled and adored both of their children. My dad grew up with his single mom who had to work many hours a day to keep her two children housed and fed. He signed up to fight in “the war” the day after he graduated from high school; Mom kept all of his letters for the ensuing two years in a small wooden box with a key (read my Love Letters). A wedding in peace for love. 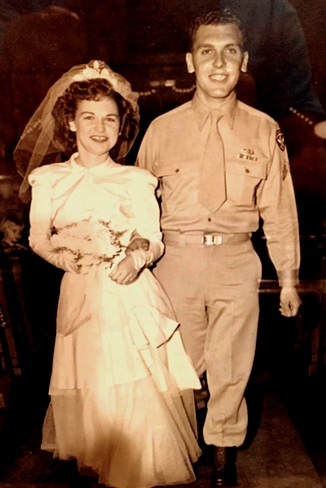 They married the week he returned from Europe, two months after the end of WWII. Mom and Dad partied in Atlanta, where dad began his career, and they raised a cocker puppy and mourned when doctors told my mom that she could never have children. So, on their seventh anniversary, they found an adoption agency they trusted. The day they were to sign papers to begin the process, mom visited her doctor, so sick she thought she’d contracted a horrific flu. Instead of the flu, she got me. Turns out she was pregnant with me. She wanted to name me “Georgia” but instead chose the name of a character in a book she read while pregnant – Pamela. She doesn’t remember the title of that book. Eighteen months later, her next ‘flu’ turned out to be my brother. She became a full-time mom until she was in her 60s. Then she got a job at the Gap. Within a year, she was the store’s top salesperson. Our roles seemed to reverse as I began a family and moved far far away. She’d call me once a week with the opening line of “Hi, it’s your Mom!” And then she’d tell me about her active exciting life. I wonder if I’m my mom’s daughter still, or if now I’m my daughter’s mom. In most ways, it doesn’t matter anymore. How lucky you are to still have her! I am indeed. Thanks for being here, and HMD! A lovely, lovely story. I miss my Mum – not all the time, but odd times something triggers a memory, like she’s tapping me on the shoulder as though to say, ‘hey it’s fine, I’m still right here’. I lost my Mum in 2001. A blessing, perhaps as, not long after that, the world went insane. How wonderful to feel that tapping on your shoulder. It reminds me of the Paul McCartney song about his mom – Let It Be. She had passed away when he was much younger, but she came to him in a dream and gave wise advice: LET IT BE. Such a beautiful post! I know my brother only saw my mother as a Mother and not as a person for many many years so I understand exactly what you mean with the first sentence. My mothers and I have always been the closest of friends, sharing joys, laughter and tragedies…a blessing. I love the photographs and wow, your mother is one stylish lady!! Yes, my mom has always had an amazing style about her, and still wears just the right-colored scarfs to match her earrings. You’re fortunate that you’ve been so close to your moms. About a week ago my daughter sent me a link to an article that talked about the elderly (and particularly those with dementia) and it stated succinctly: Remember those ‘old’ people have had a full rich life – fought in wars, raised children, belonged to the PTA and worked long years to feed/shelter their children. And I thought then about the amazing life my amazing mom has lived… THANK you for your comments. Aw…Pam…I loved this! 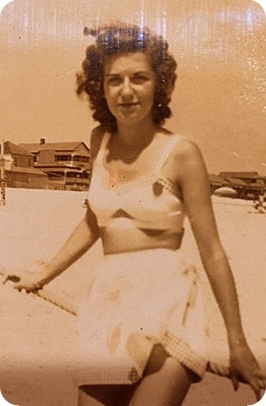 What an amazing woman, and how cute were you! “Instead of the flu, she got me.” Too cute! What’s fun about writing is that I’d never thought of it that way (instead of the flu, she got me) and suddenly the truth was down there in black and white. What’s also fun is that my sister-in-law read this post and told me she never knew that story. Ah, we families must remember to share our folks’ stories. Hugs. Thank you. I know you know all the writing in between the lines. The older we get, the more social our lives should be, right? 🙂 Thanks, yes, my mom is still pretty with soft green eyes. Happy Mother’s Day to you! What a great sentence (” my mom was so complicated…I’ve featured her in a book”). What’s the name of your book, Paula? I think many have complicated relationships with their moms (or vice versa, their daughters), but few admit it. Although we all appreciate our parents in different ways and at different times in our lives, it usually comes with the wisdom of age and having children of our own. You’ve told us such a wonderful story, Pamela, and I wish you and your mom the happiest of Mother’s Day together! Thank you, Dave. I agree, I think as children we’re only supposed to see our parents as…parents. After all, they’re the ones who teach us about just near everything the first years of our lives, AND they take care of us. What’s fun is growing up and becoming an adult, and a parent, and realizing, whoa, my parent has a fascinating life/personality/being! Kind of a gift. You’ll enjoy it so much when that wisdom comes to your son. That moment when moms go from being moms to being a person! I remember that well. I still struggle with conversations where each take on our roles rather than our personhood. I lvoe the roles too, but sometimes I want to get below the surface. My mom still protects me from what she thinks I don’t want to hear. And I love her for that and have admit, sometimes I want her safely ensconced as my “mommy”. My mom was quite a dancer in her younger years (I remember being in grade school and watching her learn how to ‘do the twist’), and in fact was the ‘life of the party’ just five years ago, dancing up a storm. How great is that?? She’s now in an assisted living facility in the middle of a lovely park close to her church and friends. And I agree, in some ways, it’s so nice just having a ‘mommy’ in our lives. Your Mom was my favorite PEO convention roomie for many years. I miss her sharp and witty comments. Ohhh, how she loved her time with you at those conventions! She still is sharp and witty, particularly if there’s a good-looking man nearby. Quite the flirt, as always. 🙂 Thank you so much for commenting here. It means a lot. My Mom has been gone for almost 16 years!!! I still miss her and always reflect on the wonderful times we spent together. She was my mother but became my best friend in life. Enjoy these moments with your mom even if she protests about her surroundings. She is safe and taken care of and that’s all that matters. Someday she will be gone and a hole will be left in you heart!!!! Thanks Jennifer. I’m just gone over to your post and am still imagining taking a bath in your house. 🙂 Have a glorious, grateful weekend. What a lovely tribute to you mom! I better get cracking on a Mother’s Day post, too. The problem, however is that my mom hates it when I write about her. Haaaates it. And I love the new blog design, by the way! Hmmn, I just popped over to your blog to check – no Mom’s Day tribute, But if your mom hates it when you write about her (and let’s be honest, you’re really really honest about her, in a loving son way, but still….) perhaps your mother’s day gift to her is NOT blogging a post with her wise witticisms (I happen to love your mom, and I’ve never met her). Anyway – have you bought her a card yet, at least? Flowers? P.S. Thanks for the design remark – I was told my other theme was ‘retired,’ so spent hours worrying about how to change. It actually was a piece of cake. Well, an 8-hour-to-bake cake with triple layers. How wonderful to read about your mother. She sounds amazing, and I got all warm inside when I read about her ‘flus.’ Too funny. Guess you and your brother were meant to be! And I just found out that my brother didn’t know he’d been a ‘flu’!! How funny is that (of course, he doesn’t read my blog – he’s an accountant – but his wife does and she related my info to her). Ah, families. On the other hand, he just drove the 2 hours from his home to visit our mom today. He’s a fabulous son/brother (even if he doesn’t read my blogs). P.S. Is that a new photo of you that pops up when you comment? I like it! Yes, I thought it was time for a more professional author pic. Thank you. But trying to remember all my online sites to change it on wasn’t easy. I’m sure I missed a few! I’m not a fan of getting my picture taken, so I put it off far too long. Oh, so lovely, a tear in my eye. Love to Mom and Daughter. Ha ha. I know what you mean–I don’t believe my daughter does yet. BTW. You look gorgeous. Fantastic photo. What a lovely tribute to your mom. It takes us all a long time to appreciate our moms. Now, that my mom is gone, there isn’t a day where she doesn’t pop into my thoughts . Have a great Mother’s Day. She was a strong woman and loved her 2 children very much. She and my dad were heart broken when I came to the US. It was too far away . Yes, my mom never really forgave my guy for moving me from her coast to the left one. I stopped to read your post before I head out the door for a family weekend with my mom. I enjoyed reading about you and yours. My grandmother thought my mom was her mother and that my then 8 year old was mother of my tiny triplets. She was confused about some facts but the smiles and hugs were all correct. Hope you have a wonderful Mothers’ Day. Thanks for stopping by here on your way to celebrate your mom. You understand the vagaries and, in a way, vulgarities of dementia. But the smiles and hugs make a HUGE difference. I bet you had a terrific Mother’s Day – you deserve it, because you are terrific! Lovely post… sometimes we don’t “get” relationships until later. Ohhh, that’s such the truth. But then again, probably most relationships change through time. Happy Mother’s Day to your mom . . . and to mine! Hope you had a delightful Mother’s Day celebration. I love this post, Pam! You’re right, I doesn’t much matter who she thinks you are, as long as she knows you’re someone she loves. My mom is 93. She was a terror for much of my early life, but she’s gradually mellowed. Now every time I talk to her on the phone she makes sure to tell me she loves me. Funny how life changes people. Happy Mother’s Day to your mom, your kids, and especially to you! My goodness this was a perfect story for Mother’s Day. How wonderful that your mom is 92 years old. You are fortunate that you have her. She sounds like a fabulous person. A beautiful tribute to to your mom. Happy Mother’s Day. Love this post. I was very close to my mother who is gone now. At the age of 70 she had a stroke and lost her short term memory. I looked after her for the next ten years and enjoyed her although our roles have reversed so quickly. I can’t seem to write about my mother in the way I would like. I miss her so much even now and when my husband died, I longed to cry in her arms. She always made things better. So glad you have your wonderful mother, but I disagree that being safe is all that matters. I want my quality of life to be good even when I am 90. You said SO MUCH in this comment. (1) the role reversal of mom/child to adultchild/mom is strange and strenuous. I applaud you for taking such care of your mom. I think it’s difficult to write about the person who knew/knows us so well, and has been an integral part of us from the beginning. 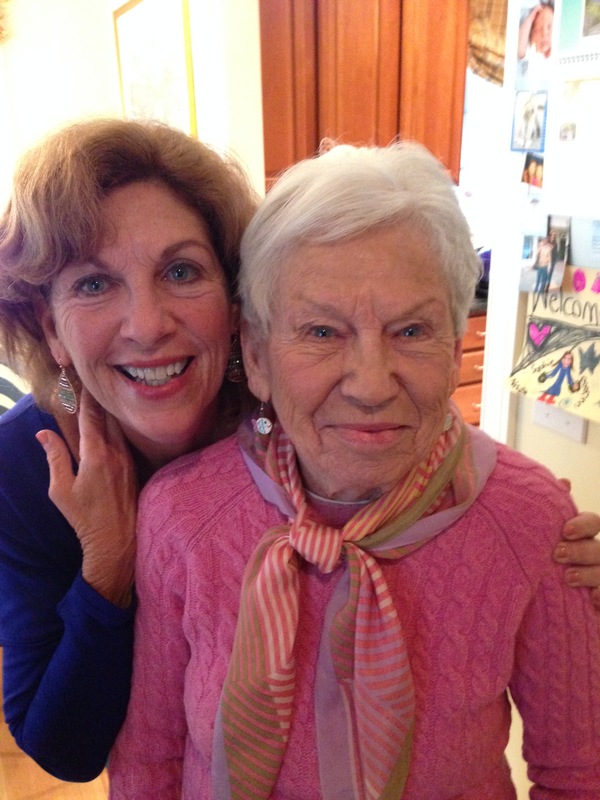 Several bloggers keep encouraging me to write posts about my mom because they relate. These posts are the most difficult to write, but in some ways the closest to my heart. Wha t a lovely story. I think that happens a lot, especially with daughters. We don’t really appreciate Mom until we’ve left the nest. You are fortunate to still have your mother. Thanks, Michelle. YES, I appreciate that my mom is still ‘here’ for me, and I for her. BTW, I’m halfway through “Not By Design” and enjoying it – thanks for the review. Interesting mom/daughter relationship in Carol’s book, isn’t it? Yes, there is. So glad you’re enjoying it. Really a delightful Mother’s Day blog, honest and loving, what I call “real” writing which seems to contain the complexities of a mother-daughter relationship. Sometimes it takes a lifetime to weave closer together, to learn to stand on our own, to honor one another. Does your mom read your blog? Will she hear what you’ve said here? I think good writing means we need to be honest, ‘real,’ as you say. I’ve written other fun stories of my mom and me which she enjoyed so much. She was always my biggest blog fan! But no, now she is unable to manage the computer. Sometimes I print out some of my blog posts and share them with her. I love your quote ‘takes a lifetime to weave closer together.’ Beautiful. Thanks for reading my ‘mom appreciation’ post, Andrea. 🙂 And for the comment about the ‘new look.’ Word Press informed me that my old theme was ‘retired’ (poor Ocean Mist, forced retirement for sure), so I put the petal to the metal and made the change. It’s fun, now that it’s done. A lovely read. What a great tribute to your mum. 92is a greet age. Enjoyed reading this, Pam. You have layered the short memoir so nicely. Mothers and daughters – yes, complex relationships, and full of beauty, conflict, and mystery. Thanks for this post! Ah, yes, I think the mother/daughter relationship may be the most complex of all. In beautiful, confusing, and mysterious ways! What a wonderful story of your mom’s life. It is great she got a second wind and two children! I think my mom is on her tenth wind. 🙂 Thanks Darlene. Lovely tribute, Pam. 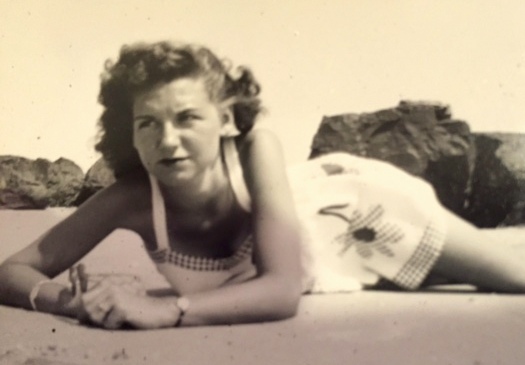 I had my Mom until she was 95f – miss her so often, and wonder what she would think of her granddaughter. The one thing about mother-daughter relationships, as you so wonderfully wrote: they can be complex and rich! Well, I just came over from your blog and your daughter’s absolutely beautiful tribute to YOU. We are so lucky with the mothers who raised us, the daughters we raised, and the relationships as complex as a gorgeous piece of art. Loved the pre-war pictures. It reminds me of the same kinds of pictures of my grandparents just prior to my grandfather heading to Japan at the end. What a beautiful post in tribute to you mother! And how very fortunate you are to still have her. Today I have been catching up on reading blogs that I follow, especially yours. Thank you for your recent visit to my blog and comment on blog. It is reassuring to know there are other that feel the same way that I do and have experiences this misunderstood transition. It has happened close to my family. I learn SO MUCH reading the blogs of others throughout our country – and our world. Yours is one of those that I admire so much. To truth and honesty – and telling it like it is. What a lovely post. Thank you for it. Thanks for being here, Cynthia! I’m a tad belated, but hope you and your mom had a wonderful Mother’s Day. Your mom sounds like one awesome lady. Wow, good for your mom! I think it’s difficult to ‘share’ a mom, and I imagine it was difficult when your mom made it clear to you that she has a life separate from yours. But by releasing her role as ‘only a mom,’ she and you were able to forge a larger friendship as you became an adult. I’m so glad you are back ‘on-line,’ blogging, and visiting me (and my mom) here. THANK you. I’ve got to get back here more frequently. I enjoy it, but too many things are pulling me away. A insightful post about looking at your mother as a person and not just a mother. I think all mothers would appreciate their children taking the time to look at them from all the different aspects of their lives. You have a very interesting blog. I look forward to reading more and thanks for joining me today at Feminist Friday. What a wonderful comment. YES, particularly once our children become adults, we moms want them to see us as … vibrant intelligent fun WOMEN with fascinating lives, not just moms. Thanks for coming on over here – it was a pleasure to meet you at Feminist Friday. Lovely post. My mum is also 92 and our relationship seems to be one of reverse roles at the moment. Nevertheless it is all a learning curve. I only wish I’d known my dad better, who died when he was 49. I’m so glad we’ve connected, Stevie. I’ve just spent some lovely time at your blog. A learning curve, indeed, as our mother/daughter roles reverse. Thanks for your comment; glad you’re enjoying my efforts! What a beautiful story Pam. Oklahoma – I can just imagine your Mum in her element among all the cowboys and farmers (which is all us Brits know about that state 🙂 ) You’re blessed to have had such a good relationship with her, and great memories. I must have been side-tracked on the week leading up to Mother’s Day weekend because I missed this beautiful and meaningful post, Pam. We all tend to look up to our parents and be somewhat in awe of them. I know my Dad was similar to your father, raised in a poor home with his Mom unable to work many hours, he hitch-hiked to KY where no child labor laws existed and worked. My Mom had one sister and the two of them were blessed with an above average income and home. Sounds like your Mom and her sibling, too. Thanks for sharing the story about your parents. Yes, my parents had an amazing relationship for most of their marriage too. While growing up, I enjoyed watching their interactions. But a Taylor/Burton chemistry in your parents’ marriage? – there must have been a lot of sparks in your household! THANKS for visiting here, and for your wonderful comment. A mom with moxie, which her daughter inherited. I wonder if you were named for Samuel Richardson’s Pamela. If so, “Virtue Rewarded” applies to both of you. Great post! Whoa, I’ll look that book up. And then ask my mom about it! Thanks!